Lennon’s birthday was recognized by The Plastic Fauxno Band who performed a two-and-a-half hour concert. Billed as Love is the Answer, the show featured songs from Lennon’s entire solo career from Imagine to Power to the People to Starting Over. The show was the headline act of the Beatles Fest West on Saturday, Oct. 9 at 9 p.m. at Fort Mason Center (located in the Golden Gate National Recreation Area between Aquatic Park and the Golden Gate Bridge) in San Francisco. There were at least 750 people there the first day of the Fest. The Return brought the crowd to its feet. The young Beatles look-alikes sang songs like Twist and Shout and the audience was enthralled. Lit candles spun in circles while throngs of people sang Happy Birthday to John. Throughout the day, fans wrote messages to him that were attached to the strings of white balloons. After candles were lit, everyone took a balloon, and they were set free above the San Francisco Bay. The white balloons floated above the waves in the dark sky and it was a spectacular site that brought tears to my eyes. Then the Plastic Fauxno Band performed. Drew Harrison channeled John Lennon perfectly. The show was unbelievable. My heart broke when he sang God, Working Class Hero and Imagine. Drew Harrison leads The Plastic Fauxno Band. The singer and songwriter is well know for performing Lennon in the popular Beatles tribute band The Sun Kings as well as his own acoustic show In the Spirit of Lennon. According to Harrison, it was his dream to join together a talented group of the best musicians in the Bay Area who all revere Lennon’s talent. “We intend to perform a concert John might have given in 1982, had he lived.” Harrison said. “Sadly we will never know what such a concert would have been like, but undoubtedly it would have been incredible and memorable." "Indications are that Lennon and Yoko Ono desired to create a theatrical play about their life together", Harrison said. "This John-centric concert is an attempt to merge both ideas in a rock-n-roll concert using John’s material during the ‘70s, as well as his last recordings to tell the story,” Harrison added. Love is the Answer will reflect where Lennon found himself in 1980, “content with his place in the sun, enjoying and accepting of his domesticity, ready to re-engage with the world artistically, and enjoying a new lyrically and musically prolific period,” Harrison added. Other members of The Plastic Fauxno Band: Chris Solberg, (guitar, vocals) former guitarist and keyboard/bassist for Santana, Eddie Money and The Rockets who currently plays with The RaveUps; Tiran Porter, (bass, vocals) former bassist for The Doobie Brothers as well as bassist for The White Album Ensemble; Donn Spindt, (drums and vocals) drummer for the Rubinoos and also performs for The RaveUps and The Raving Animals; Tim Gorman, (piano, orchestration, vocals) orchestrator for James Cameron’s The Titanic, who has collaborated and worked with The Who, The Rolling Stones, Jefferson Starship and more; Bobby Strickland (sax, vocals), tours and works with Todd Rundgren and Dave Martin’s House Party; Mike Shiplet (percussion), plays with piano wizard David Krull and The Beer Detectives: Leslye LoMenzo (vocals), has performed with Full Circle, the Oakland Interfaith Gospel and many other projects including Jesus Christ Superstar; and Beth Elliott (vocals), appeared in many musicals including Hello Dolly and performs at Hotel Nikko in San Francisco. Special musical guest will be Bob Lewis from The RaveUps on guitar. Other info about Beatles Fest West can be found at www.beatlesfestwest.com. Other bands included: The Sun Kings, Beatles Project, The Return, The Cryers, with a Beatles Block Party and Beatles Market Place featuring vendors and collectible items for Beatles fans. Thanks to Shelley Klaner for the photos and report. This weekend in Sonoma was more awesome than usual. Earlier in the day, Saturday, we attended a release party for one of our favorite wineries. This evening, however, it was a bit of nostalgia. The Plastic Fauxno Band (remember the Plastic Ono Band? ), led by Drew Harrison, was performing at the Spreckles Center in Rohnert Park. The Spreckles Center is the performing arts center completed in 1990 as part of the planned community developed in farmland in Sonoma County as an effort to create a designed community which was ultimately incorporated in 1962. The Spreckles Center was constructed using a bequest from Fred Rohnert along with community development funds as well as other public and private funding. The facility totals 41,000 square feet and houses two theatres. We were in the Nellie W. Codding Theatre which seats 550 patrons. A very nice venue for an intimate performance as this absolutely was. The Plastic Fauxno Band is the creation of Drew Harrison, a phenomenal talent. Drew has performed in Europe and South America. He also leads a Beatles cover band, the Sun Kings, and performs solo. A tireless performer, Drew books over 100 shows a year, mostly in the Bay Area. Drew has been asked to open for several big name bands, like Steve Miller and Lyle Lovett, and also has a solo album, Go it Alone, which has garnered critical acclaim. This event was labeled the Concert for John, by some, as Lennon was killed by Mark David Chapman, on December 8th, 1980, outside his apartment, The Dakota, in New York City, before he could ever really perform to large audiences playing his edgy and extremely personal post-Beatles song book. 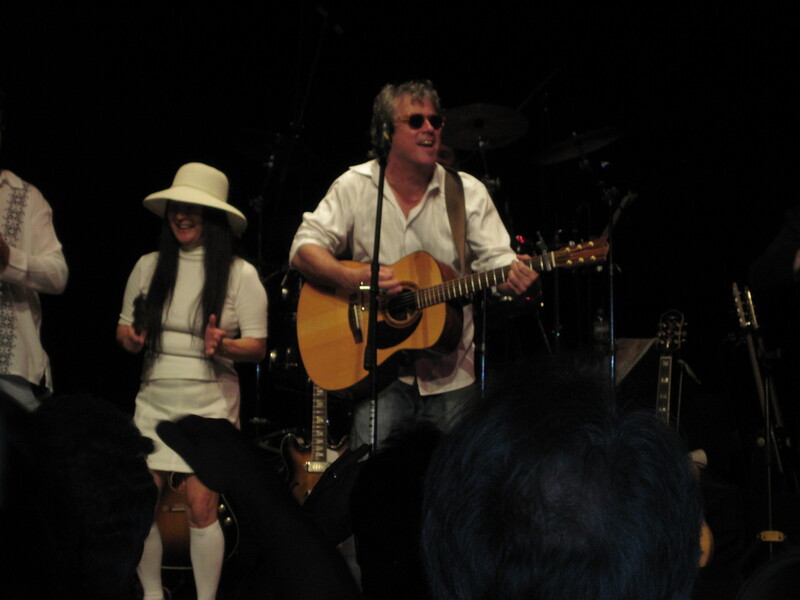 The Plastic Fauxno Band debuted just a year ago in a concert with the same name ‘Love Is the Answer – The Concert for John Lennon’ presenting Drew’s vision of what it might have been like if John had toured in 1982. The band is an extraordinary amalgamation of exceptional talent including Tiran Porter, bassist with the Doobie Brothers, Tim Gorman, keyboardist with the Who and Jefferson Airplane and Chris Solberg guitarist with Santana as well as Bobby Strickland, saxophonist of Todd Rundgren’s band, Donn Spindt, drummer, of the Rubinoos, and others as well as two strong female vocalists. Musically this ‘band’ was amazing and at times there were 9 musicians on the stage including Bob Lewis on guitar. The first set was very intense, featuring many of John’s highly self-absorbed and self-revealing songs of angst, abandonment and personal searching for who he was and why he felt the way he did about life. This set included Mother, Crippled Inside, Working Class Hero, and I Found Out all searing examples of Lennon’s gut wrenching experiences in primal therapy and his disillusionment with life and his time as a Beatle. I have to admit, many of the songs were not known to me as the Lennon music of the time was not all well received by Beatles fans and therefore did not get a lot of airtime until Imagine in 1971. An exception for me was Cold Turkey, a Lennon original composition released in 1969 as a single. The Fauxno Band played this exquisitely and Drew’s anguished screams were real and evocative. The second set was much more familiar to me with Lennon classics such as Oh My Love, Jealous Guy, What Ever Get’s You Through The Night, I’m Losing You, Woman and of course, the song that became John’s anthem, Imagine. The musicians in the Fauxno Band clearly share Drew’s love of the Lennon stylings and contributed vocally as well as their amazing instrumental talents. All the Lennon Albums: Plastic Ono Band, Imagine, Double Fantasy, Mind Games, Walls and Bridges, Sometime in New York City, Rock and Roll and the posthumous Milk and Honey were represented in this amazing 2 ½ hour show. If you get the chance and you are a Beatles or Lennon fan I highly recommended the Plastic Fauxno Bandand the Sun Kings with Drew Harrison wherever you can find them. LIVERPOOL is in the middle of the John Lennon Tribute Season at the moment, celebrating the life of the Beatles legend. But Lennon's achievements are also being marked around the world, as an email we received shows. IT'S been quite a few weeks since Lennon’s 70th Birthday bash in San Francisco. As friends back home celebrated along Albert Dock, in our adoptive city we celebrated the weekend with the Beatles Fest West at the Fort Mason marina overlooking the Golden Gate Bridge. It was the perfect setting to mimic events taking place 5.000 miles away, across the pond. It was a weekend filled with the music and memories of home. Amongst the tee-shirts and memorabilia, Jeff Walker, who flew in from Canada, signed copies of his new Beatles Book and a host of tribute bands entertained the fans. The Return sported winkle pickers and drain pipes to channel the Beatles early years, while Christina Trillo from Los Angeles belted out a few of the classics. On Saturday night, as the infamous San Francisco fog rolled across the bay, Lennon lived on, when the Plastic Fauxno Band took to the stage and brought the house down. 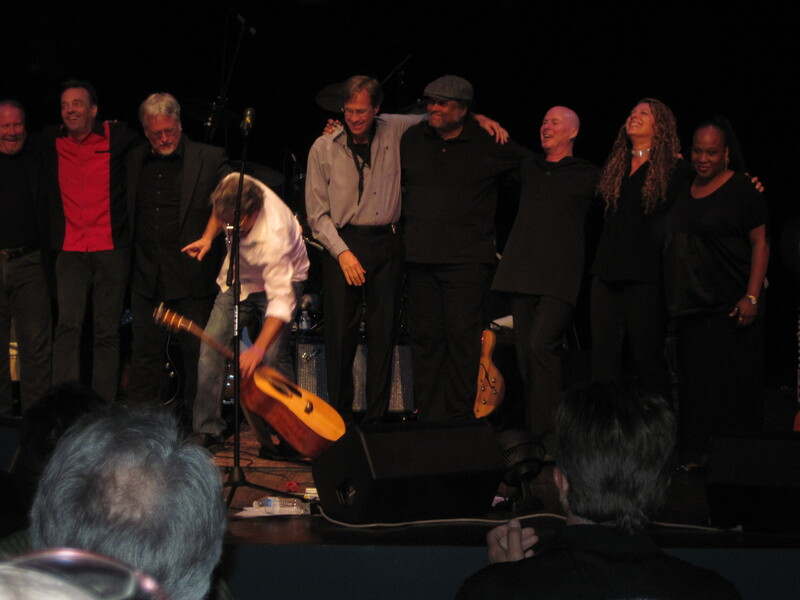 The magic was maintained when - totally unscripted - a number of local musicians,including ex members of Santana and the Doobie Brothers, joined the tribute band on stage for an impromptu Lennon jam session. From San Francisco, we send Liverpool peace and love... man. John Lennon would have turned 70 on Oct. 9 if he had not been assassinated. Beatles fans and Lennon lovers still mourn for the musical genius who inspired many searching for peace and beauty, and the date is being marked around the world with celebrations such as those at Strawberry Fields in New York and the Rock and Roll Hall of Fame, which is dedicating time capsules with Yoko Ono to be opened in 2040, and hosting a special music festival and exhibits. In the Bay Area, Lennon’s birthday is being recognized by The Plastic Fauxno Band who will present the two-and-a-half hour concert one-time special event billed as Love is the Answer that Lennon might have performed, featuring songs from Lennon’s entire solo career from Imagine to Power to the People to Starting Over. The show will be the headline act of the Beatles Fest West on Saturday, Oct. 9 at 9 p.m. at Fort Mason Center (located in the Golden Gate National Recreation Area between Aquatic Park and the Golden Gate Bridge) in San Francisco. Drew Harrison leads The Plastic Fauxno Band. 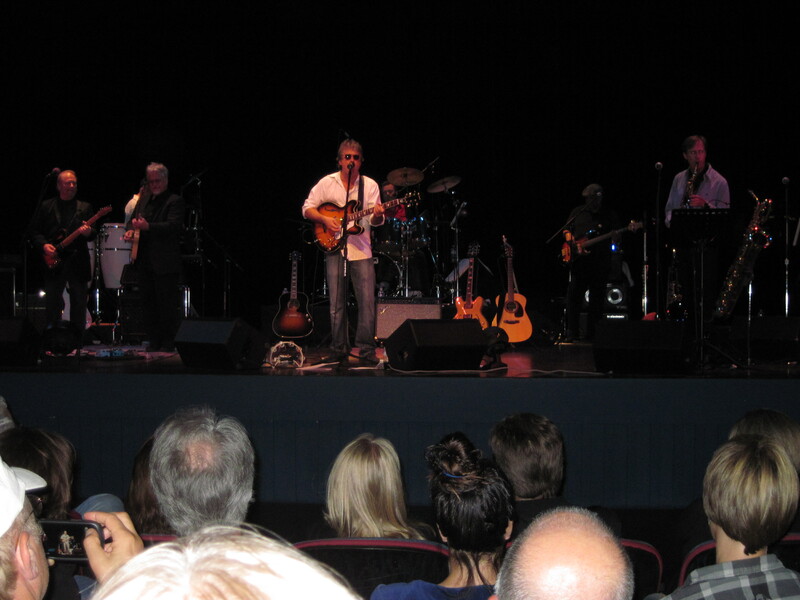 The singer and songwriter is well know for performing Lennon in the popular Beatles tribute band The Sun Kings as well as his own acoustic show In the Spirit of Lennon. Indications are that Lennon and Yoko Ono desired to create a theatrical play about their life together, Harrison said. Harrison took inspiration from Lennon and Ono’s conceptualization of their Double Fantasy and Milk and Honey recordings as A Heart Play and from discovering their desire to create an autographical play about their lives. “This John-centric concert is an attempt to merge both ideas in a rock-n-roll concert using John’s material during the ‘70s, as well as his last recordings to tell the story,” Harrison added. Love is the Answer will reflect where Lennon found himself in 1980, “content with his place in the sun, enjoying and accepting of his domesticity, ready to reengage with the world artistically, and enjoying a new lyrically and musically prolific period,” Harrison added. Also performing as part of The Plastic Fauxno Band will be: Chris Solberg, (guitar, vocals) former guitarist and keyboard/bassist for Santana, Eddie Money and The Rockets who currently plays with The RaveUps; Tiran Porter, (bass, vocals) former bassist for The Doobie Brothers as well as bassist for The White Album Ensemble; Donn Spindt, (drums and vocals) drummer for the Rubinoos and also performs for The RaveUps and The Raving Animals; Tim Gorman, (piano, orchestration, vocals) orchestrator for James Cameron’s The Titanic, who has collaborated and worked with The Who, The Rolling Stones, Jefferson Starship and more; Bobby Strickland (sax, vocals), tours and works with Todd Rundgren and Dave Martin’s House Party; Mike Shiplet (percussion), plays with piano wizard David Krull and The Beer Detectives: Leslye LoMenzo (vocals), has performed with Full Circle, the Oakland Interfaith Gospel and many other projects including Jesus Christ Superstar; and Beth Elliott (vocals), appeared in many musicals including Hello Dolly and performs at Hotel Nikko in San Francisco. Special musical guest will be Bob Lewis from The RaveUps on guitar. Beatles Fest West is set for the weekend of Oct. 9 and 10 with festival tickets ranging from $20 to $99. For tickets or information, go to www.beatlesfestwest.com. Other bands performing include: The Sun Kings, Beatles Project, The Return, The Cryers, with a Beatles Block Party and Beatles Market Place featuring vendors and collectible items for Beatles fans.